This was the first beer to come out of our vats, back in 1985, making it the Brouwerij ‘t IJ classic beer. It is a ‘tripel’, the category reserved for the stronger blonde beers crafted in the Belgian tradition, and Zatte more than lives up to expectations. It’s a full-bodied, golden beer with a scent of fresh fruit mingled here and there with a hint of grain. The flavour is slightly sweet, ending with a fine, dry aftertaste. A delicious classic to be enjoyed in all seasons. I think this is the best tripel that I’ve ever had (and I’ve had a lot of them from all over the world) – can’t wait to visit later today. Spent a few days in Amsterdam before leaving on a cruise up the Rhine. This is a terrific tripel, and yes possibly one of or the best I’ve had. I picked up some before our trip and have been sharing with others who also have really enjoyed this fine beer. Drank this on our visit to Amsterdam last week and was so impressed by it didn’t try anything else all week. Simply the best beer I have ever had. Wish I could buy it on the UK. Had this at a restaurant in Amsterdam while on holiday and this beer has been on my mind non-stop since! Loved it! I wish I could get it in Germany but no luck so far, hopefully my next visit I can stock up and bring some home!? Even though in Netherlands you could try a great selection of Dutch and Belgian beers, this one is really special. It simply tastes good, strong enough and gives you such an amazing aftertaste. If you haven’t tried this yet — don’t wait any longer, you will love it! Ondertussen vind ik hem ook in Belgie in de AH. Joepie! 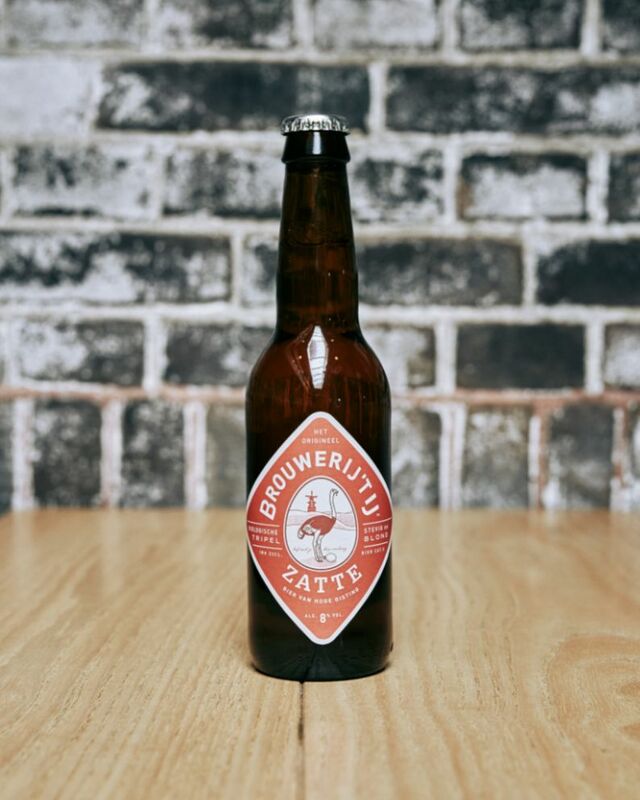 Loved this beer during our trip to Amsterdam summer 2017 – can I buy it anywhere in the US? Not in the US yet Jean… Still conquering the Netherlands right now. Come back soon? Is it possible to buy Zatte in the UK? I’ve been looking for it since leaving the Netherlands a year ago. Hello Matthew, good to hear you’ve been looking for our beer that long. Unfortunately we don’t export to the UK (yet). Even if our beers make it across the Channel, we’re unaware of their destination. Hope you’ll stumble upon some Zatte soon though! I have to say this is one of my favorite beers ever. Had it last fall, when I was visiting Amsterdam, the hotel staff recommended it to me and I fell in love with the taste. I’m so happy I tried it, will recommend it to all of my friends from now on! Liquid Happiness, this beer flows through my veins and powers my very existence. Me and Ellard are legendary Zatte drinkers, known throughout the lands as Zatte Overlords. This brew is simply perfecrtion, from the fine trippel filtered consistency to the masculine and domineering aftertaste, establishing the importance and relevance of this beer in the world brewing economy. A must drink beer for any human anywhere. Long Live Zatte! I’m a Brit who’s been living in Amsterdam for 12 years, so I’m familiar with the wonderful Brouwerij ‘t IJ. This tripel, is very special. It’s fast become one of my favourite beers. The brewers have brewed it in the style of the classic Belgian tripel beer and then in my opinion, made it better. They’ve have done a magnificent job of developing their yeast. They’ve ensured the all important yeast esters are consistent for every batch. I’m drinking a Zatte as I write this. The flavour is deep and complex, with hints of citrus and summer fruits. When served at the recommended temperature, it has a rich, creamy and delicate floral head. The beer is slightly malty sweet and there’s a delightful long and refreshing light hop finish. This is a superbly well balanced tripel. 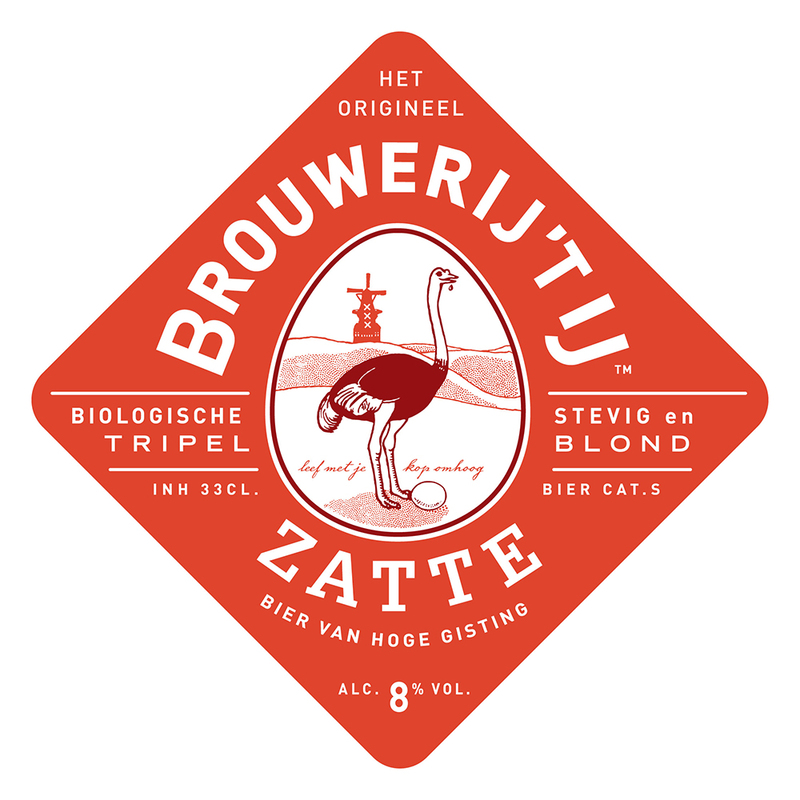 I think Zatte should be thought of as a true Dutch classic. If I was a religious man, I could easily imagine God on his day off, kicking back with his feet up, enjoying a few of these beauties. Yeah, it’s that good. Thankfully, Zatte is now found in most of the Dutch supermarkets. Best tripel I’ve ever had, one of my top five beers overall. Any way to get Zatte in the US? Best beer in the world. Enjoyed it for 5 yrs., till I moved away! Do you know of any way to get this beer to Sweden? It’s the best I’ve ever had. Got it on the sub in a torp. Such a lovely drink.